So, you’re considering staining your wood deck. Whether it’s cedar, redwood, or pressure treated lumber, you want to achieve a fantastic stain finish. To ensure you get as close to that perfect natural looking deck as possible, our professional painters would like to offer a few tips, to help you avoid common deck staining mistakes. Before we dive into our deck staining techniques, we need to reevaluate our deck staining expectations. We need to be conscious of the Canadian climate and how it can affect the stain on your wooden deck. In Canada, we get a lot of precipitation from rain and snow. This makes it nearly impossible to have any piece of deck wood completely dry or free of moisture. Excess amounts of trapped moisture within your deck boards will drastically reduce a stain’s ability to soak into the wood and last as long as the product says it will. Not only does Canada get a lot of precipitation, but we also have a relatively extreme climate, where temperatures can fall below -30℃ and rise above 30℃ — with humidity to boot! This large variation in temperature negatively affects the durability of the wood and the stains performance. Staining products are typically tested in warmer, more stable climates like Arizona and the guarantees that the products promise DO NOT apply in Canadian climates. Most staining products guarantee that the finish will last approximately five years. 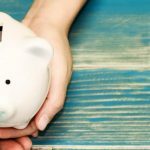 However, in Canada, the best case scenario means that you may get between three to five years. You will be much less disappointed if you accept that a deck may need to be re-stained every one or two years to achieve the look you want. Many people believe that it’s necessary to use a pressure washer to remove all the dirt and mildew from your deck prior to staining it. Unfortunately, using a pressure washer may be doing more harm than good for your deck. When using a pressure washer on a high level of PSI, the deck soaks up all the moisture from the high-pressure washer, and never fully dries before the application of the stain. Instead of using a high-pressure washer, we would suggest using a much less abrasive garden hose, scrubbing out the dirt and mildew and finishing off the cleaning process with a Deck Brightener to restore the woods pH balance and enhance the wood grain. After cleaning the deck properly, allow between three and five warm and sunny days for proper dry time prior to staining. After the deck has properly dried out, rigorous sanding and scraping of the wood, and its failing stain, must be performed. Hand scrapers will help remove any flaking wood, and a lower grit sandpaper (80) will help to remove any old stain and will also open up the wood for better acceptance of the new stain. After removing the scraped wood and stain, give your deck a thorough vacuum before applying the new stain. There are a variety of ways you can apply stain to a deck, including a brush, roller, speciality pole attachments, or spraying. For the most even application, we suggest using a natural bristle stain brush between 2.5” – 5”. The natural bristle brush is the best application tool for oil products. The only stain that will last the harsh Canadian climate is an oil-based stain, because of its durability against UV light, dirt, mildew, and its resistance to water. It is important to know that a solid colour stain will sit on top of the wood and will not bond into the wood like a semi-transparent stain. 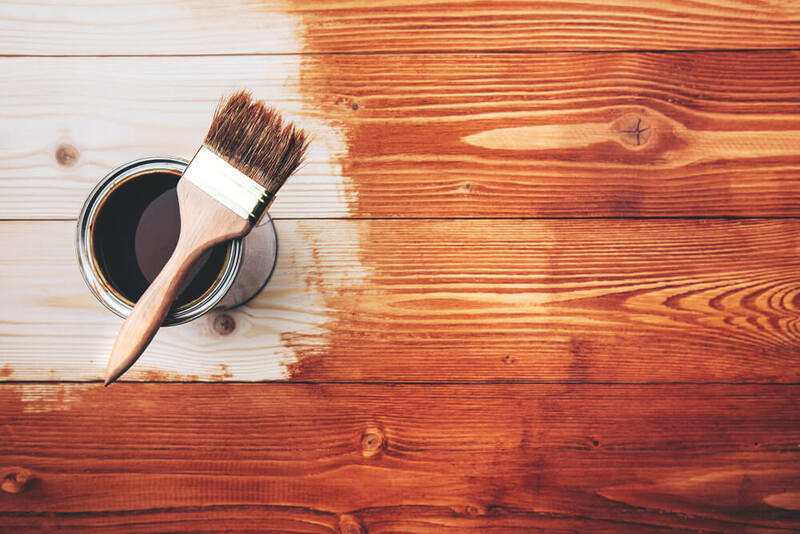 This means that, in addition to an oil stain, a semi-transparent stain should be used over a solid colour stain to penetrate the wood and prevent the build-up of mould. Expert Tip: Only one coat of stain should be applied. Applying two or more coats will increase the chance of creating a tacky surface which will cause the stain to fail and peel prematurely. Following the careful application of the semi-transparent, oil-based stain to your deck, you should allow for at least 24 – 48 hours of dry time. To ensure your stained deck lasts as long as possible, you should shovel off any snow in the winter and clean it off every spring. 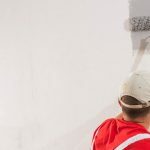 These two practices will help avoid as much damage as possible from layers of snow and other dirt sitting on top of the deck for months at a time. To keep your deck looking perfect every year, we recommend staining it frequently, every year or two. Staining a deck is hard work, so if you’re not feeling up for the task, call the professionals at New Approach Painting — we’ll make your deck look like new.